That's a shame, considering Hamster games usually come with both versions, and even three (Arcade Archives Donkey Kong). It's kind of a deal-breaker to me, sadly. Yeah, can't find anything about the release on the Japanese eshop for some reason, so it looks like this one will be a separate release. Kinda makes sense since the 2 games differ so much. I wouldn't be surprised if the Kunio-Kun game ends up being a Japanese only release down the line. On a better note, Money Idol Exchanger releases tomorrow and that's another must have game for puzzle fans. Anyone who has a fondness for the Magical Drop games, surely has to check this one out. Similar, but quite different in it's execution. It's been a favourite of mine for close to 20 years now. Huh, this might be of interest to you. So it seems Kunio-kun is indeed coming to Switch today. But it looks like this version will be on the Japanese eshop while in the west we are getting Renegade. 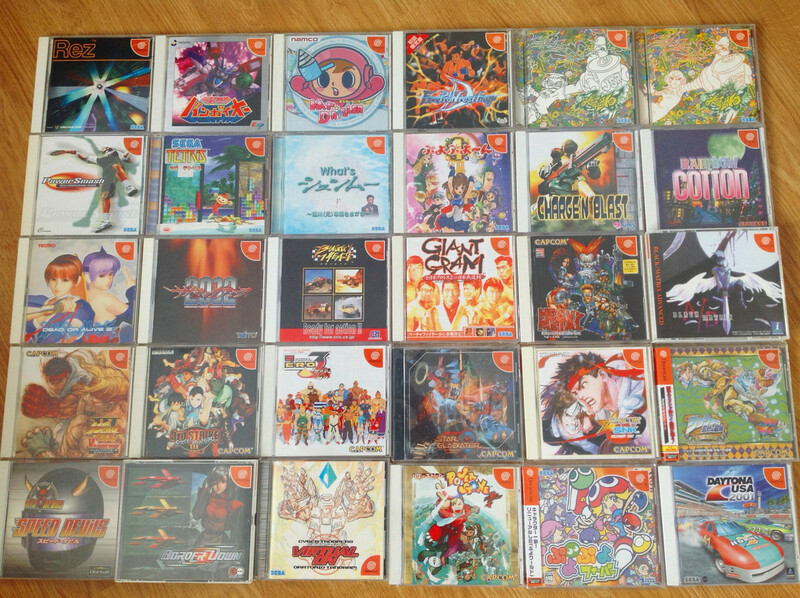 Luckily grabbing Japanese games is rather easy. Strange part is that it's on the exact same date as the western version and has the same layout on the English and Japanese site. So there's still a chance that the one release will include both games. With a little luck we'll have a preview video uploaded when the game goes live so we get a glimpse of what we're exactly getting. I'm actually leaning towards the possibility that we're getting both games in one now. @meppi64 Fingers crossed. Maybe they did it after all this time but in PS4 they couldn't for any reason. But if it's only Kunio-kun in Japan that means that probably we're expecting too much from them. @Moroboshi876 I'd have to go back and check how they handled PS4 releases in the past since it's been a while since I last booted that system up. Not sure if certain titles had a Japanese and overseas version to them when Renegade game out for it. It might have been something they started doing once the Switch releases really picked up or something. This is al speculation, mind. But it kind of makes sense seeng them evolve as time goes by. When buying Renegade on the western eshop, you do indeed get Nekketsu Kouha Kunio-kun as well. At the title screen you'll get the option to play the western version (Renegade) or the Japanese release (Kunio-kun). I checked the European and Japanese eshop listings and both versions mentioned the same supported languages. So I took the plunge as the worst case scenario could be that you need to log in with a Japanese account to get the Japanese versions, like with Resident Evil/Biohazard or MegaMan/Rockman. But it's not even the case. Both versions are selectable, independent of your profile location. @meppi64 OMG! So they DID enhance the game, because on PS4 it wasn't possible judging from the title screen. Thank you very much! Just to be sure: you downloaded the game and checked it yourself, right? Yeah it seems to be their way of doing things now. Offering both Japanese and overseas versions if they differ in a significant way. Same worth Money Idol Exchanger for instance, which is called Money Puzzle Exchanger in English. Yep, was just playing it a couple of minutes ago, but I can't resist playing some Exchanger so I only played Kunio-Kun once. I just watched a YouTube play through of Renegade. The game only lasted about 10 minutes so it didn't seem like there was much there to justify the $8. @BalloonFighter The game is quite difficult, so I think it will take you more than ten minutes to finish it. After one hour I'm still unable to beat the first boss. So do you people recommend Renegade? Brought the Wii back from our caravan so I can play Ghost Squad 🙂 Its getting very consoley in here! I already have a plan in mind to transform my garage into a small arcade. Should be able to hold a dozen pinball games I think.... Just need the money. @Lroy - Cheers, the Saturn is getting plenty of use, I love it! Been hoovering up some PS2 and PS3 games at a car boot sale local to our caravan. PS2 games were 3 for £5 so I picked up Resident Evil Code Veronica, Resident Evil 4, Headhunter, ISS, Space Invaders: Invasion Day and 007: Nightfire (odd choice maybe, but a game a have a real affection for after completing it on the first Xbox), the real bargain though was Uncharted on PS3 for £1. Winner! @monkeyspasm It's all a dream right now though, but something I'd love to make a reality one day. Perhaps not a dozen pinballs, but certainly 3 or 4, alongside a couple of arcade cabs. I just need to have an original Elevator and Xevious one in there at the bare minimum. Yeah, it's always a good idea to go one and sometimes 2 steps back when looking for older games. It takes a while for a certain generation to go up in price, so right now you can grab tons of PS3 and 360 games for peanuts. There are still a bunch of games that will be quite expensive, but most of those will be Japanese exclusives and such. I just got a notice that a package has been delivered from Japan. Which I think should be Shikigami no Shiro 3 for 360. Coming in at about €60, that's not too bad for an exclusive STG. 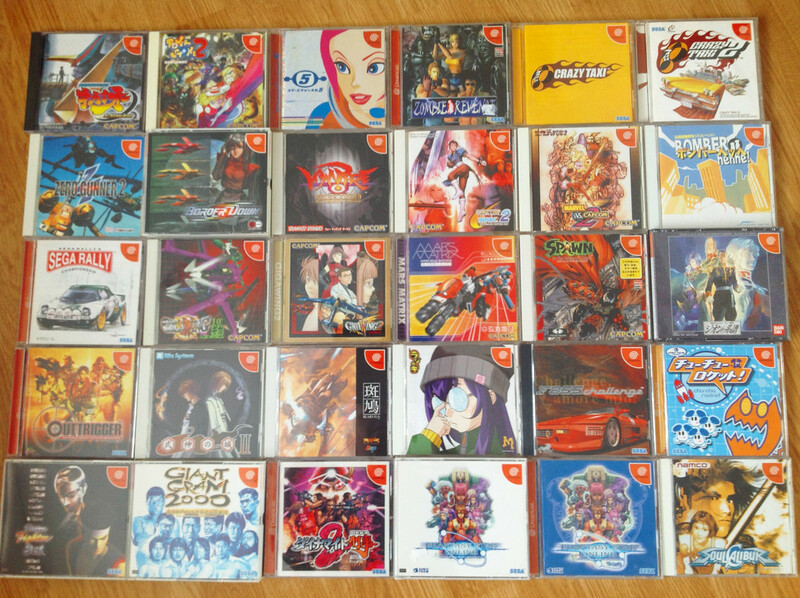 Oh and I just remembered that I never posted those Dreamcast pictures. So get ready to track one of those down as well soon! Do you have a Japanese DC? 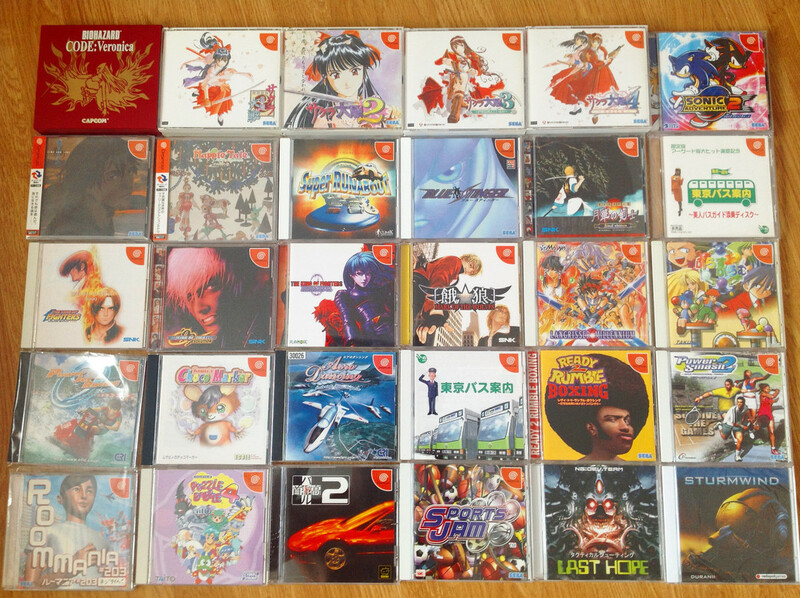 I know a lot of Japanese games can be played via boot discs etc. Which route would you recommend? I've got 5 PAL Dreamcasts, but one that has a busted motherboard from a failed mod that I had an "expert" do to be able to play Bakuretsu Muteki Bangai-o since I didn't think it would come to Europe. This was way before those boot discs or any of that stuff. It was "fixed" and cost me some more money, only to break down several months later. So since there was a new pack out with Chu Chu Rocket and the game was supposed to only be available as a pack-in, and I couldn't spend more than a week or so without my Dreamcast, I bought a brand new one. Always kept the other one for spare parts. I have one Japanese Dreamcast as well, so I hope that the disc drives themselves are all region free and compatible in case this one dies as it's the system I use the most. There are a couple of PAL games that never came out in Japan for some reason, like 4 Wheel Thunder and Metropolis Street Racer. So being able to play from various reasons is a must. Not to forget about the RPGs and such. It's a replacement power board for the Dreamcast that accepts 12V from a standard plug adapter, so the insides don't become as hot anymore and the system has a longer life. There's a Saturn version in the making as well, which is supposed to be ready pretty soon. As for boot discs, I've got one that came with a Dreamcast magazine which was basically a demo of a cheat disc, but it could boot up import games, so I've used it for that. Also a downloaded Xploder CD which does the same thing. Fussing around with a boot disc does become old rather quickly though, especially if you're switching between games often. Sports Jam was one of the few games I only got later on, 2009 I think. Because I'm not a big sports fan at all and didn't realise until later on that it was an actual arcade sports title, so that got me interested. Wish I could play it in multiplayer though.